Faith-based films are making their appearance known far too often, masquerading as real cinema, when all they really are is propaganda for a religion that is slowly dying and is desperate to reach new audiences before it blinks out completely. Or at least, that's a pessimistic (and potentially atheist) take on the genre; an optimist (or Christian/believer/hopeful soul) might see it in a completely different light. That's the inherent problem with this modern movement; you can talk about God in a movie, but making your story completely about one viewpoint is automatically polarizing, and those who haven't fallen for the trick before aren't very likely to fall to their knees in the theatre. Paul Asher has recently returned home to New York City from the war-hills of Afghanistan, where he was an imbedded reporter searching for the truth behind the firefights. He came back a changed man, having seen things that would alter his life, and having met people whose lives he would change. Many soldiers were having a hard time coming back, moving past the horrors that they saw, and Paul was there to help if he could, lending a listening ear or making a phone call to a professional; whatever he could do to make the return easier, since he knew firsthand how war destroys the soul. His own homecoming wasn't very joyous; he and his wife Sarah had drifted apart while he was away, and finding the love they once had might be impossible. As Paul attempts to head back to work as an online journalist, amid the struggles he's dealing with within his marriage, he meets with a man with a peculiar story to tell, a tale that might make a good article for Paul's first since his reporting on the troops. This story is very different; this man claims that he is God. Not that he can talk to God, not that he hears voices, not that he's one of the many gods; no, he's convinced that's he's the actual, one, true G-O-D. He and Paul will have three meetings together, three interviews with God, and rest assured they will not go as planned. Paul is having a crisis of faith, here is someone who claims to have the answers, and yet it can't be that easy; or can it? 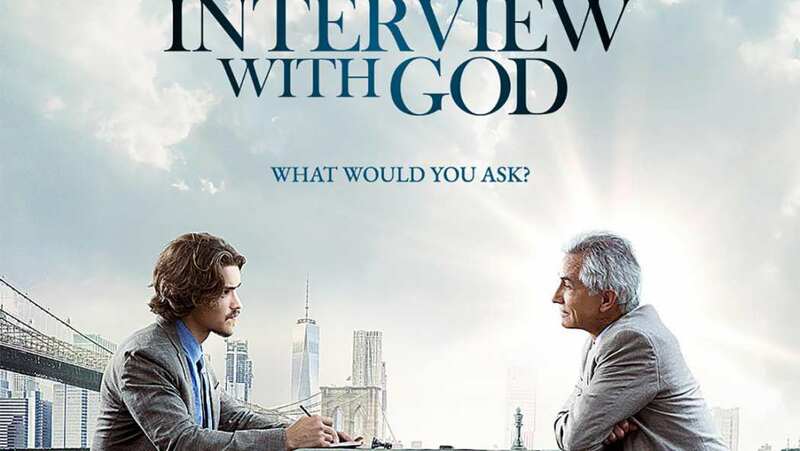 This film is right on the edge of proclaiming itself faith-based, holding back slighting with a powerful restraint, casting stars we know to help soften the blow. But there's no doubt about it; this movie is aimed at a certain target from a very specific direction, and there's no missing its point. It even gives marriage advice straight from the pulpit, which might have been one the elements that bothered me the most, and it doesn't shy away from saying, like the man claiming to be God, that it has all the answers. That audacity alone is astounding, but that's the mood of this genre; they don't pretend to to be open-minded. This is a very specific story for a very narrow audience, and that should be understood going in so that there isn't any confusion. Is that's what you enjoy, I can't say that there's too much technical to scare you away; in fact, for a faith-based film, this might be one of the more talented casts you'll come across. 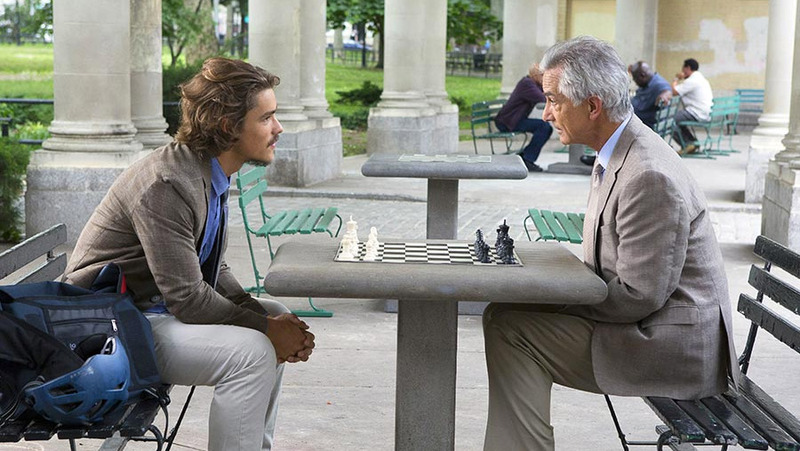 Brenton Thwaites is a natural actor who has enough talent to reach a low ceiling, I'll say that much for him. His film choices have been poor, he's never going to be a superstar, but he has talent, and doesn't embarrass himself as Paul. 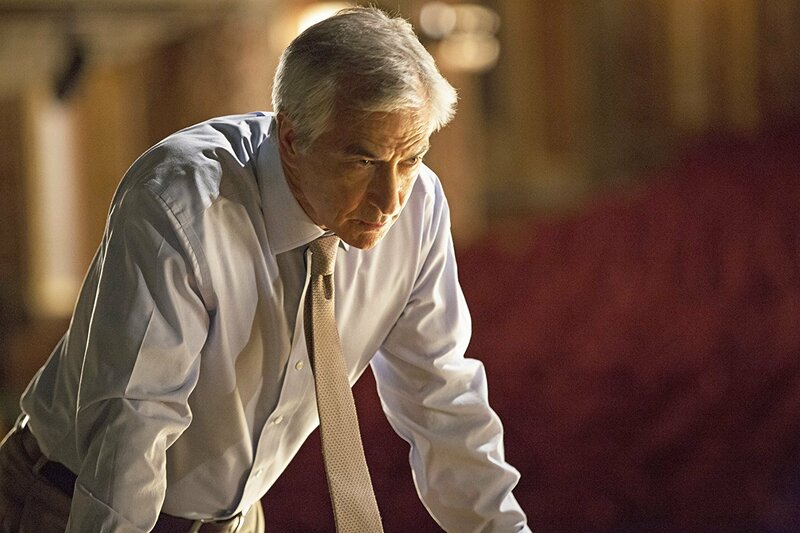 The same can be said about David Strathairn, who has made a career out of mediocrity, and I don't say that will malice; I wish I was a paid actor who has been in the business for 40 years doing solid work. Unfortunately, none of the smaller characters in the film were any good at all; in fact, they were terrible. And the plot, if you don't already believe, isn't going to hit home, and isn't going to make an impression. This is a tale of two movies, in a way; choose your side. Video: With an aspect ratio of 2.40:1 (Anamorphic Widescreen) and shot using a Panasonic VariCam 35 camera, the video quality of the DVD is rather strong, for a low-budget, faith-based film that most audiences won't expect much out of, technically speaking. The picture is nice, the locations are interesting, the color is crisp; the cinematography isn't anything spectacular, but the film looks good and watches well. Audio: The disc was done in English Dolby Digital 5.1, with subtitles available in English SDH, Spanish, and French. That's it for the audio, and there isn't much else to report. The movie does have a nice underscore that feels new and seems relevant, so hats off to the crew for making the music work. But there aren't any audio standouts otherwise, and the sound won't be memorable to anyone watching. Extras: The only bonus features on the DVD are a Special Discussion: Key Themes and Questions interview session (22 minutes total) and a series of interviews with the four main cast members. Rent It. Since I lean more toward the pessimistic contingent of audiences and less toward the optimistic group, this film didn't land well personally, but that didn't stop me from recognizing that, while it's far from perfect, it does offer certain aspects that don't entirely fail. The acting by the two leading men is fairly strong, and they play well off one another. The remaining cast is terrible though, and the story is so monochromatic that you'll find yourself choosing sides rather than enjoying either way. The video is solid, the audio too, there are a couple special features, so the technical areas aren't completely ignored, and the movie is aided by that fact. Still, I won't be shouting this film's praises, and I can't recommend it to anyone who isn't already prepared to love it; that might be the only group this movie was made for anyway.